Tricky: Q 1. What do you understand by Internet? Explain concept of IP address in detail. Q 1. What do you understand by Internet? Explain concept of IP address in detail. to users at other computers). It was conceived by the Advanced Research Projects Agency (ARPA) of the U.S.
of a military attack or other disaster. the intranet and the extranet, also make use of the TCP/IP protocol. copper wires), Wi-Fi, satellite and 3G technology cell phones. An Internet Protocol (IP) address is a numerical identification (logical address) that is assigned to devices participating in a computer network utilizing the Internet Protocol for communication between its nodes. Although IP addresses are stored as binary numbers, they are often displayed in more human-readable notations, such as 192.168.100.1 (for IPv4), and 2001:db8:0:1234:0:567:1:1 (for IPv6). 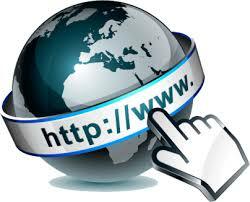 The role of the IP address has been characterized as follows: "A name indicates what we seek. An address indicates where it is. A route indicates how to get there." Originally, an IP address was defined as a 32-bit number and this system, now named Internet Protocol Version 4 (IPv4), is still in use today. However, due to the enormous growth of the Internet and the resulting depletion of the address space, a new addressing system (IPv6), using 128 bits for the address, had to be developed. IPv6 is now being deployed across the world; in many places it coexists with the old standard and is transmitted over the same hardware and network links. The Internet Protocol also is responsible for routing data packets between networks, and IP addresses specify the locations of the source and destination nodes in the topology of the routing system. For this purpose, some of the bits in an IP address are used to designate a sub network. (In CIDR notation, the number of bits used for the subnet follows the IP address. E.g. 192.168.100.1/16) An IP address can be private, for use on a LAN, or public, for use on the Internet or other WAN. Working of web browsers with these addresses. A web browser is a software application which enables a user to display and interact with text, images, videos, music and other information typically located on a Web page at a website on the World Wide Web or a local area network. Text and images on a Web page can contain hyperlinks to other Web pages at the same or different website. Web browsers allow a user for quick and easy access information provided on many Web pages at many websites by traversing these links. Some of the Web browsers currently available for personal computers include Mozilla Firefox, Safari, Konqueror, Opera, Flock, Internet Explorer, Epiphany and AOL Explorer. Web browsers are the most commonly used type of HTTP user agent. Although browsers are typically used to access the World Wide Web, they can also be used to access information provided by Web servers in private networks or content in file systems. • When it gets downloaded then browser interprets the code and displays it.